Everyone knows likes a bright beautiful smile, which is probably why orthodontic procedures are so popular. But while most people choose to get their teeth aligned for cosmetic reasons, but there are also many reasons that straighter teeth equal better health. Straightening your teeth can be expensive, but it may be able to save you money in the long run. The types of problems that develop over time when teeth aren’t in their right place will only result in more dental visits and costly procedures down the road. When misaligned teeth engage in the action of chewing, they are more likely to create undue pressure on one another. The constant weight your teeth put on one another through the repetitive action of chewing can result in more wear and tear on your teeth and other dental abnormalities. People with a crooked smile are also more likely to develop Bruxism, otherwise known as teeth grinding, which can cause teeth sensitivity and worn tooth enamel. Properly aligned teeth fit together better and allow you to have a correct bite, this can allow you to chew your food more thoroughly and improve digestion. Crowded and crooked teeth aren’t easy to clean and problems are more likely to not only develop but go unnoticed. It is more likely that they will collect food, bacteria, and saliva contributing to cavities and tooth decay. When teeth are straight they are easier to brush and floss which will help prevent plaque buildup, remove acids, and protect enamel. 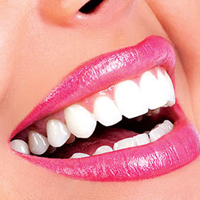 Good oral hygiene is of upmost importance as it can prevent many dental problems. When misalignment is a problem, the pressure isn’t just on your teeth it’s also on your jaw. Often crooked teeth cause your upper and lower jaw to not correctly fit together which puts stress on surrounding tissues and tightness in jaw muscles. Chewing can cause also put stress on supporting jaw bone and joints and result in pain as well as bone damage. When teeth are straightened, the jaw is able to be moved into a correct position relieving pressure and improving function. The bacteria that misaligned teeth can trap over time can build up and cause the development of periodontal diseases, otherwise known as gum diseases. When teeth are either too close together or too far apart, it can cause the gum line to become red and swell, which may be signs of gingivitis and periodontitis. These diseases can cause the gums to hurt, bleed, and recede, eventually resulting in tooth and bone loss. When teeth are properly aligned the gums are able to fit tighter around each tooth making bacteria buildup less likely. I am Vanessa Jones, a freelance writer, writes on the topics of dating sites.